Bright and Breezy Crafts: Cravings! 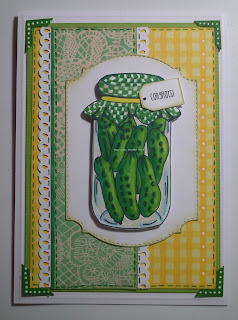 I saw this image - 'pickle jar with cover' and thought - "perfect!" I just need a friend to become pregnant now... hahaha! I found the papers in my stash - yellow gingham and a green lacy paper. Infact, I think the green lacy paper was some wrapping paper from a looong time ago! which I inked the edges of. along with a line of dry embossing all around the edge. 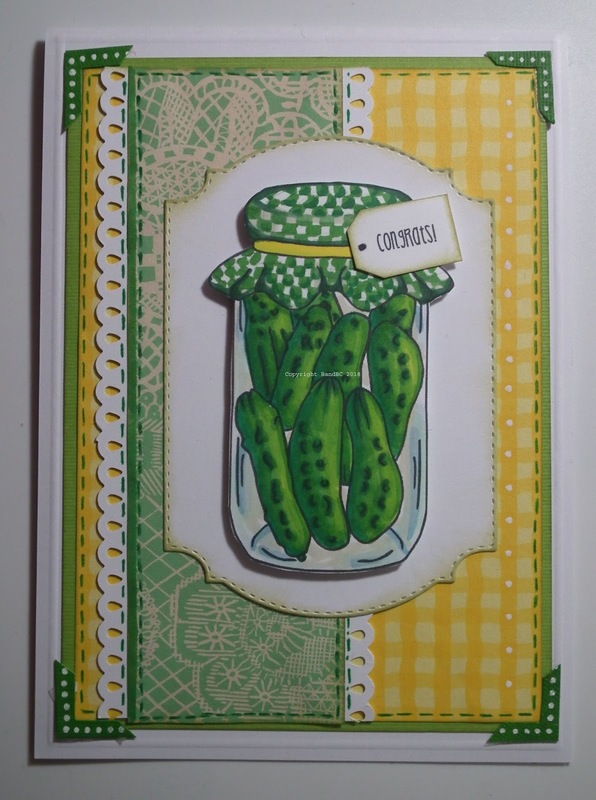 I just love this card and the way you colored my image "Pickle Jar With Cover". What a delightful adorable image. Hope you can rustle up a pregnant friend somewhere. LOL. 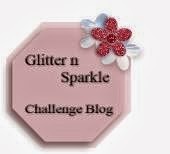 Thanks for playing along with the Simply Create Too DT in our challenge no. 136, Use Green. Come again soon. What fun! I love the beautiful patterned papers you used for your background. 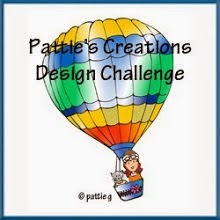 Thanks for sharing with us at Scribbles Designs Challenge Blog. 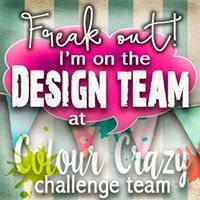 Hello… Thanks for sharing your lovely card with us at Scribbles Designs… your card fits perfectly with our “Go for Green” challenge theme… Hope you will be able to join us again very soon and Good Luck in the draw.